Controlling things which are out of your control. Developing a strategy during times of uncertainty and downturn. Helping the organisation towards opportunities, while balancing the ordinary demands. Robert Outram talks to finance heads about the responsibilities involved in the job. The role has many names - Chief Financial Officer, Finance Director or Head of Finance & Operations to name a few - and it can involve a range of responsibilities, but the top finance job in any organisation is always a critically important one. People look to you for your view, whether it’s monthly results, a proposed investment, the cash position, or whatever. You have to make that call. The key attribute for the FD, according to Colin Kerr CA, Director of Finance with The Children’s Trust, is “judgement”. As he put it: “People look to you for your view, whether it’s monthly results, a proposed investment, the cash position, or whatever. You have to make that call: Is it okay or not? What do we need to do or not do?. The role is so variable that you come into the office in the morning with a to-do list for the day and more often than not that list is torn up. The CFO’s responsibilities are especially significant in an organisation in which other management team members do not have financial training or a business background. Simon Wrench CA is Finance Director of Parklands Care Homes. He says the FD needs to work across different perspectives: short, medium and long-term. For example: “The short-term focus is on cash-flow management, the medium-term focus on cost reduction and efficiency improvements and the long-term focus on securing the appropriate funding solutions to deliver the business’s long-term growth ambitions. Three priorities for an FD are compliance, financial support to the business and efficiency. It is all a delicate balancing act. And Diane Stephen, Finance Director EPS West of Petrofac, suggested: “The challenge is spinning lots and lots of plates. For example, three priorities for an FD are compliance, financial support to the business and efficiency. 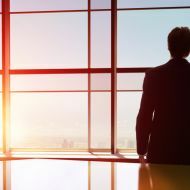 The FD/CFO has a critical role, not only operationally but also in terms of governance, so their relationship with the Chief Executive and the board - however the organisation is run - is vital. It also means working on the same wavelength as the Chief Executive while being prepared to challenge him or her. “It works [at Canongate] because we are so different,” Kate explained. Trust characterises the relationship with the CEO, who turns to the finance head for a reality check. The important thing is to understand the business and what is going on, with open relationships such that opportunities and threats are called out early. Of course, the CFO has a number of stakeholders to consider, depending on the nature of the organisation. Scottish Water’s Alan Scott advised: “I have huge respect and trust for the board and CEO [Douglas Millican, also a CA] and would hope that is reciprocated. There are many other important relationships: the executive team; owners/stakeholders; senior leaders; advisers and auditors; your own finance team etc.